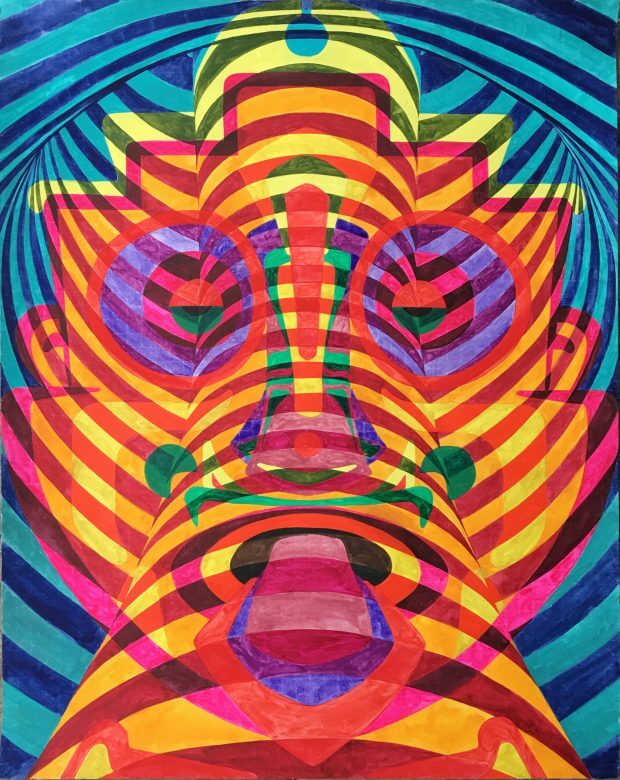 This painting done in watercolors is another example of my exploration with mixing visual illusions and op-art with figurative shapes and elements. This entry was posted on Monday, March 13th, 2017 at 7:11 pm. It is filed under Paintings, R5 FEATURED WORK. You can follow any responses to this entry through the RSS 2.0 feed.